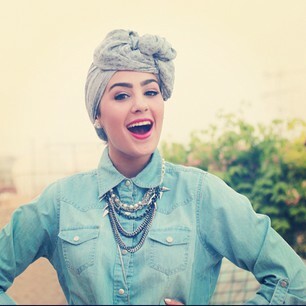 Ascia AKF is a Kuwaiti blogger who shows us you can have great style all the time…even pregnant! Salaams my lovelies! I hope you are having a good day today inshallah. Well even if you aren’t, the bright spot is that today is Follow Friday on Hijabi Life! The hijabi blogger for today’s Follow Friday lives in Kuwait and is a masterful mix of bold, bright and beautiful ensembles. Ascia AKF, aka Ascia Al-Faraj exploded onto the blogger scene and is credited with bringing the turban style into a mainstream staple. Ascia AKF’s blog, The Hybrids follow the fashion diary of not only herself, but her husband Ahmad too. The couple calls themselves “hybrids” since they are both of mixed heritage. The results are just stunning mashallah. Ascia AKF doesn’t purport to live a charmed life even with all of her successes as a fashion designer and blogger. Ascia is very open about sharing her own struggles as well as her style. She shared her troubles of fertility with her fans last year as well as the sadness she felt with losses in her life. However, she still continued and continues to inspire us all. If there was ever a blogger who was proof of how there is ease after hardship, it is Ascia. She lives up to her namesake’s name. While I am not a devotee of the turban style for my own personal hijab style, I think @ascia_akf (her account on Instagram) is just a wonderful account to follow for modest fashion ideas. What are your thoughts? 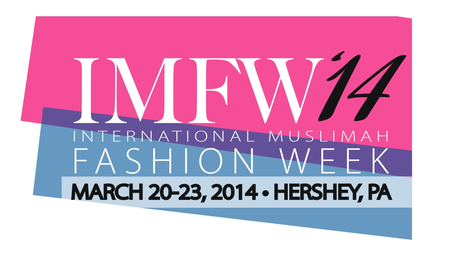 Do you have a hijabi blogger you would like me to cover in the next Follow Friday post? Let me know. 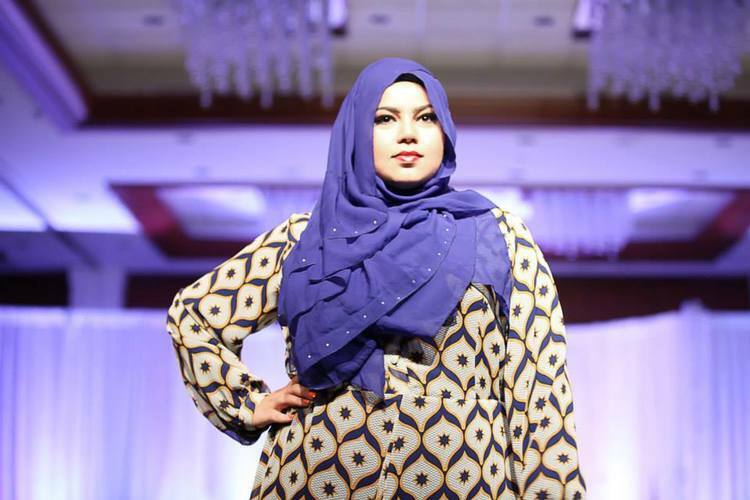 Maryam started Cover33 to provide hijabis an easy way to shop for stylish hijabs. Salaams my lovelies! Jumah mubarak to you all. As you know, on Fridays, I typically do a Follow Friday post on a specific hijabi that I feel provides not only fashion inspiration, but also inspiration for other qualities such as spirituality, entrepreneurship, etc. I wanted to highlight the a Texan sisters’ company Cover33 whose name is inspired by Surah 33 (Al Ahzab) verse 59 which is the verse where women are encouraged to cover themselves and be modest. The Instagram handle @cover33 features these two sisters from Texas wearing scarves from their line and is always a pleasure to look at since not only do they dress modestly, but they combine colorful elements and provide loads of hijab fashion inspiration. The main reason that these sisters’ online hijab store is part of my Follow Friday picks is not just because Maryam and Jaserah are beautiful, but I am personally inspired by their ability to see a need for women to buy hijabs online and turn it into a business that is not only growing, but thriving. I personally can’t wait to shop their site and let you know how my own customer experience goes! I am also inspired by their collaboration as sisters. Family bonds are important and I love how these sisters are working together to lift each other up just like my other favorite hijabi sister duo Heba and Farah Jalloul. They serve as examples that sisters need to support and love one another instead of tearing each other down by being competitive. 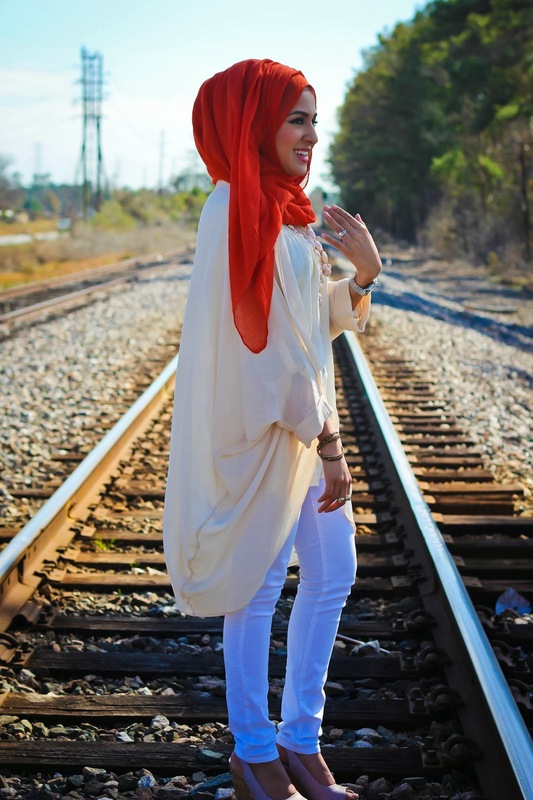 Make sure to follow @cover33 @mfasadullah and @jaserah for more hijab fashion inspiration! Maryam also has a lovely blog called Sincerely Maryam that you can read too! Check it all out and make sure to let me know what you think! Salaams my lovelies! I hope you are doing well inshallah and that you are having a nice Friday! I typically do a Follow Friday post, but today, I wanted to make it a Fashion Friday post because I am just over the moon in love with a modest fashion clothing line that I am sure that you will love too. Have you heard of Simply Zeena? For some reason, I had heard of the line, but I never had the time to really browse and shop their site online. Another one of the challenges of online shopping is that you just don’t know how something will drape or look on you unless you try it in person. 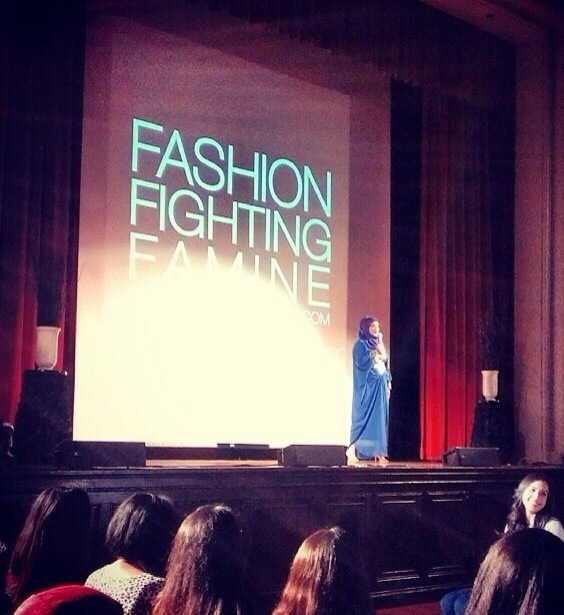 I was lucky enough to have the chance to meet the ladies of Simply Zeena at the Fashion Fighting Famine San Francisco show and see their Winter 2014 collection in person. The Simply Zeena 2014 Winter Collection is an array of extremely wearable and flattering pieces that can work for anyone looking for a modest wardrobe that is polished and chic. As a working hijabi mom, I need quick pieces like the ones in this collection to put on and go yet still look polished. I love that the materials are wrinkle resistant because who really has the time to iron? Not me! But I also still want to look elegant and professional and Simply Zeena allows me to look my best. I personally bought the purple hoodie and the Audrey which is a classic top in the making. When I wore the Audrey, I felt as elegant as the iconic Audrey Hepburn. I paired it with slim fit black pants, ballet flats and I know I got a ton of compliments from Muslims and non Muslims alike. A mom at Trader Joe’s actually stopped me and asked, “Where did you get that cute top?” I was so happy to share my fashion secret with her and with you. Simply Zeena has clothing for anything you may need. They even sell modest active wear and swim wear. I was super excited to see that. Online Browsing: Their site is super easy to navigate to find what you need and more. They have a super easy to locate top navigation bar that can take you directly to clothing that are Basics, Activewear (as a gym buff, I LOVE that they have modest activewear), and other categories that make sense for easy shopping. While Simply Zeena is an online shopping destination, I can’t really give you the good details on how fast shipping is, or the buying experience, etc. However, that gives me a great excuse to go and buy more online. I will let you know how my next pieces come and how the true online shopping experience is. In the meantime, if you have bought from Simply Zeena, what did you think? Share your comments below!